Shenandoah. Through April 14. Serenbe Playhouse. 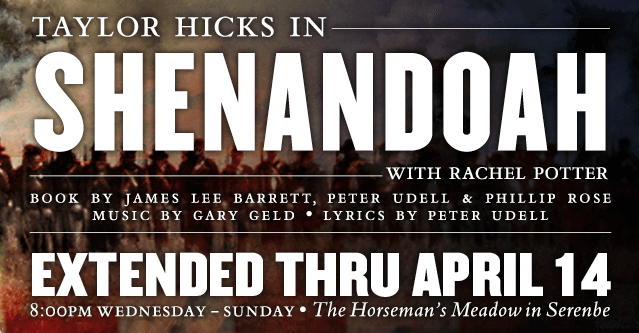 Join Serenbe Playhouse for Shenandoah, the story of one Shenandoah Valley family’s struggle to survive the upheaval of the Civil War. Charlie Anderson, a pacifist widower and the family’s patriarch, cannot continue to avoid the war happening around him after his youngest son is taken prisoner. A story of heartbreak and hope, Shenandoah shows war-time turmoil and its all-too-common scars. Staring American Idol winner Taylor Hicks and X Factor finalist Rachel Potter, Serenbe Playhouse’s production will transport audiences to the rolling hills of Virginia and will include a full-fledged war reenactment with soldiers, horses, and canons. Tickets and info on the Serenbe Playhouse website. Bullets over Broadway. Runs April 11 – 28. Georgia Ensemble Theatre. 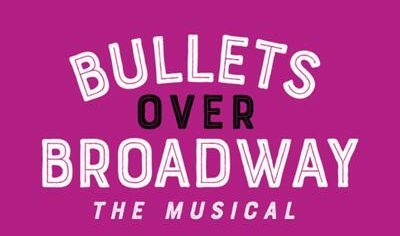 Based on the screenplay of Woody Allen and Douglas McGrath’s 1994 film, Bullet over Broadway is the story of a playwright who has no intention of compromising the integrity of his work, but finds this hard to hold true when a producer is interested in mounting his show on Broadway. One catch – the producer is a mobster who wants his less-than-talented girlfriend to star in the show. Bullets over Broadway brings over-the-top characters and a fabulous ensemble. Info and tickets on the Georgia Ensemble Theatre website. Discount tickets at PoshDealz.com. Bright Star. Runs April 12 – 28. Elm Street Cultural Arts Village. Featuring a Grammy-nominated score by Steve Martin and Edie Brickell, Bright Star is set in the Blue Ridge Mountains of North Carolina. The show tells a story of love and redemption in the 1920s and 1940s — two points of time in the life of literary editor Alice Murphy. When Alice meets a young soldier returned home from World War II, he awakens her longing for a child taken from her years before. 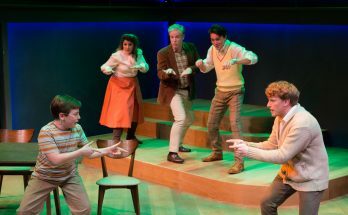 Hopeful and genuine, Bright Star features onstage musicians and a stellar ensemble. Tickets and info on the Elm Street Cultural Arts Village website. Footloose. Runs April 12 – 28. Theatre Buford. 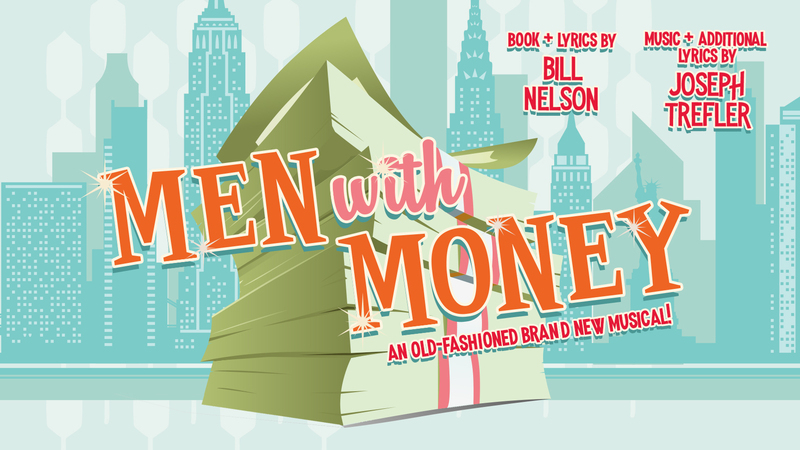 Join as Theatre Buford brings this toe-tapping hit to the stage! When Ren McCormack moves to a small town named Bomont, he discovers the town’s restrictions on dancing — and the grief still felt from the incident that led to the creation of the ban in the first place. Ren reminds the town council that there is a time to mourn and a time to dance. The show brings all the beloved song from the film to life, including “Let’s Hear It for the Boy,” “Holding Out for a Hero,” and of course “Footloose”! Tickets and info on the Theatre Buford website. Singin’ in the Rain. 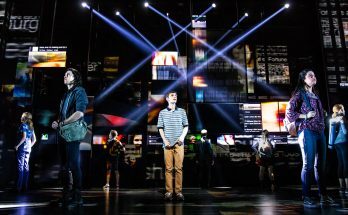 Runs April 12 – 28. Atlanta Lyric Theatre. 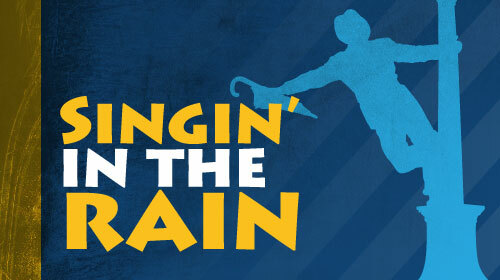 Another beloved movie-turned-musical, Singin’ in the Rain is full of hilarity and snappy dialogue. While main characters Don Lockwoord and Lina Lamont are a hot item on the silent movie screen, backstage is a different story. And what will happen to Lina’s career after “talking pictures take over? Don’t miss this production of a classic – complete with an onstage rainstorm! Tickets and info on the Atlanta Lyric Theatre website. Shakespeare’s Birthday Party & Measure for Measure. April 23. Shakespeare on Draught at Orpheus Brewing. It’s the Bard’s birthday! Join Shakespeare on Draught for a night of birthday festivities and one of their signature delightfully under-rehearsed performances. 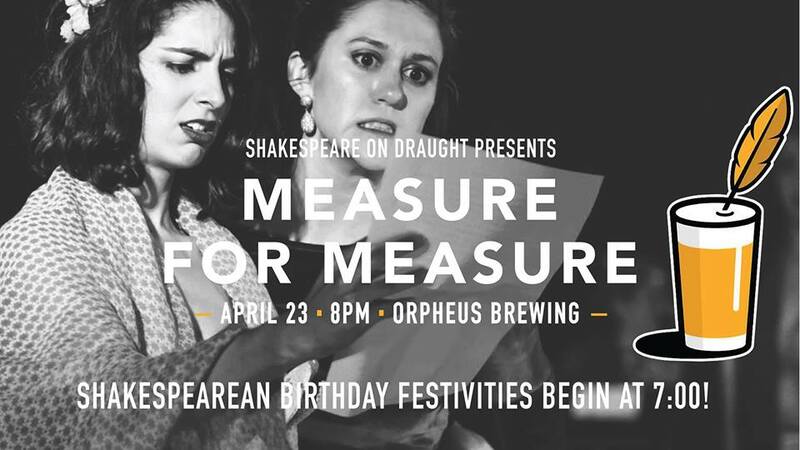 Hosted as usual by Orpheus Brewing, Shakespearean birthday festivities will begin at 7:00pm and the show will start at 8:00pm. No tickets – but pay-what-you-can donations are always appreciated! More information on the Shakespeare on Draught website. Broadway on the Lawn Presents: In the Heights by Aurora Theatre. April 27. Aurora Theatre @ Lawrenceville Lawn. Grab a lawn chair, pack a picnic, and get ready to see In the Heights performed in concert! VIP experience available and comes complete with dinner, beverages, and a table. More information on the Aurora Theatre website.